Buy online our clothing and fashion fabric 'Latte' White Silk Crêpe de Chine, Made in Italy. Our silk crepe de chine fabric has a sophisticated texture with a gentle, graceful drape. Semi-matte fabric, with a slight orange peel effect. An evergreen in the wardrobe of every woman. Suitable for shirts, chemisier, dresses. Particularly enhances draped dresses. 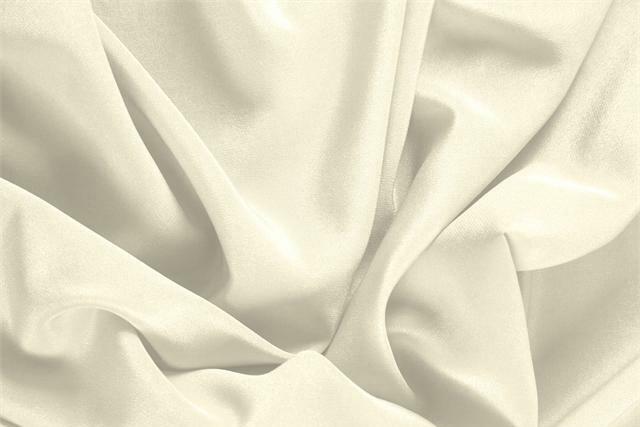 Latte White Silk Crêpe de Chine Plain fabric for Dress, Shirt, Underwear.